The Formax FD382 Tabletop Document Folder saves time and money. The fully automatic FD 382 Document Folder is the ideal folding solution for any church, school or business which demands quick and easy setup. Six common folds are pre-set for 11", 14" and 17" (Int'l Sizes A3, B4, A4, B5, A5 & B6) paper and can be activated with the touch of a button. Additionally, up to nine custom folds can be programmed and stored in memory. All the settings are easily made with the centrally located control panel and LED. 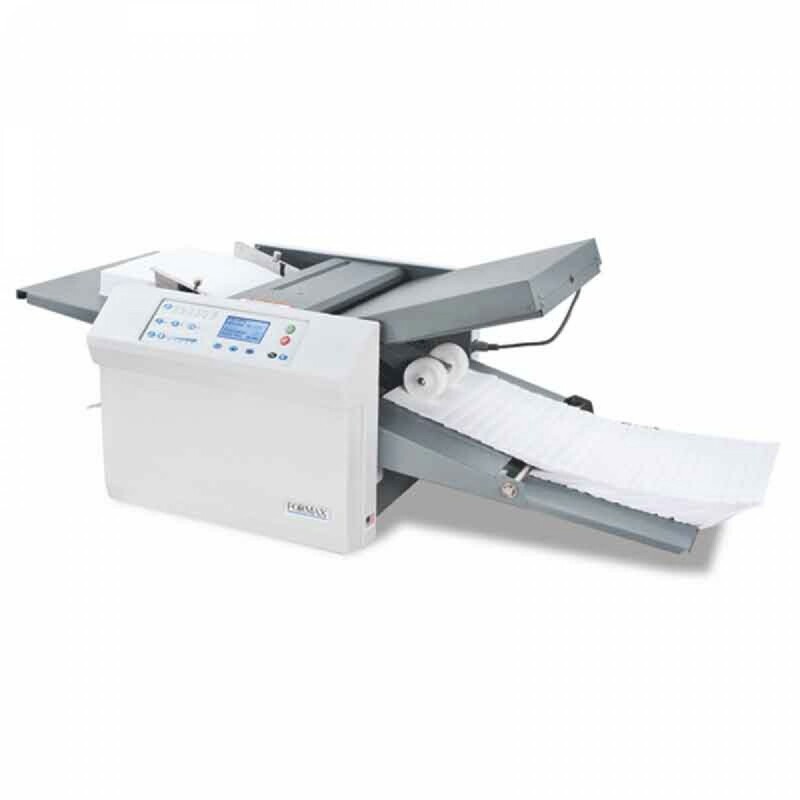 The Telescoping Outfeed Stacker holds up to 500 folded documents.